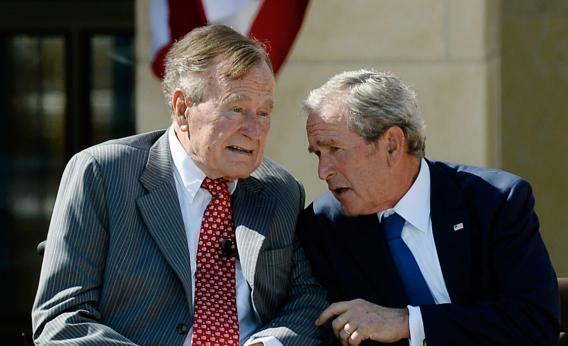 George Bush Sr. has been admitted to hospital after breaking a bone in his neck in a fall at his home in Maine. The former president’s spokesman, Jim McGarth, said he was in a stable condition and his hospital stay was expected to be brief. George H.W. Bush, who has Parkinson’s disease and cannot use his legs, celebrated his 90th birthday last year with a sky dive. The 91-year-old had to go to hospital at the end of last year with shortness of breath. Jim McGrath said George H.W. Bush, the oldest of the four living former US presidents, would need to wear a neck brace following his fall on July 15 in Kennebunkport.